This is an amazing game, but just like everything, there’s always a con. This biggest complaint I have for this game is the currency. 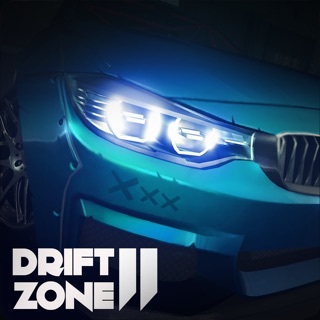 Every three hours, a challenge is given to you to complete to earn the most money gained in a single race, but the challenges are focused more towards having a certain car only. If you do not have the certain car you cannot complete the Challenge. With the game developers doing that, it makes the sole purpose of the game to buy all the cars and then one can start to really gain money. I would’ve wished that the challenges were never cooled down with three hours and that the challenges were actually challenging, or maybe even... fun? It is hard to come across good money and actually gain. Oh and also, you stop leveling up after 21 which I don’t understand. Such a waste of experience. Thank you for taking the time to write such a detailed opinion. We continue to collect our players' feedback to see what could be improved. Speaking of extras, it all takes time and much work of many people. That's exactly what we're doing. That also means, keeping such a team of professional developers requires funding. So, thank you for your support! I love the game. It has great tuning options, great customization, it’s just a great game. There is one thing that is a little unfair though, and that’s multiplayer. You see, I’m one of those players who likes a challenge and drives with steering assist off. However, most players leave it on, and so playing multiplayer can be a pain. It gets really annoying when you are trying to get past Junior II (that’s as far as I get because of this) and can’t because all of your opponents use steering assist. If you could just have some way to separate those who are using steering assist from those who don’t, that would EASILY convince me to add that 5th and final star. Thank you for taking the time to read this, and have a great day. Thanks for taking the time and explaining your idea. It has been forwarded to the developers for them to see what can be changed if anything. Continue to enjoy the game! This game is amazing for a mobile game. the graphics, physics, and controls are all there. It has great cars and modifications. but my main complaint is the multiplayer. It seems as if EVERY TIME YOU PLAY A HEAD TO HEAD IN MULTIPLAYER, YOU GET PUT UP AGAINST A CAR THAT WAS BOUGHT USING A MICRO TRANSACTION OR GOLD!!!!! THIS IS OUTRAGEOUS!!! this makes me very unhappy. I can’t even rank up in multiplayer. It’s like you HAVE to pay money to be able to win. These cars are very easy to obtain a high score because they are fast and easy to drive. Please change it so you get put up against the same car or same tier car you are driving, in order to make it more fair. With how it is right now, it is very hard to rank up in multiplayer. It almost feels like this game is pay to win. This is doesn’t make people like me happy to have to spend upwards of 5 dollars just to win. Please take my suggestion and complaint into consideration. Thank you.